Brain Gain Texas Superfood : Does It Work? Almost everyone wishes at some point that they were smarter than they are. Perhaps they want to score higher in an upcoming test, be better at chess or get into an Ivy League university; the reasons are many. This search has led to humanity’s constant desire to find brain enhancing remedies for as long as we have existed, from mystical remedies such as dragonroot and winter cherry to the more mundane but time-honored solutions such as almonds. As time has passed, traditional methods and remedies have been taken over by more advanced, allopathic medicines that trigger the brain to function more efficiently. Because of medicines like this, home remedies like almonds, ironically, are long forgotten. However, there are still people who want to revive old remedies and choose the natural way to improve brain function. Almonds may take time to have a noticeable impact on one’s brain prowess, but traditionalists swear they work. Similarly, people who want to avoid taking chemical medicines can opt for natural brain supplements which are said to have almost the same effect on the brain. Brain Gain is one such supplement. 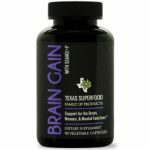 What is Texas Superfood Brain Gain? Brain Gain is an herbal, nutritious formula designed to help users’ brains get potent nutritional support. It aims to restore and improve the brain’s functions and capabilities such as memory, mental function, and retention, especially in aging patients. Who is the Manufacturer of Texas Superfood Brain Gain? Texas Superfood Brain Gain is manufactured by the N.P.N Group, LLC, whose head offices are in Utah, United States. Texas Superfood Brain Gain is one of N.P.N group’s many products. Its products support energy and performance, sleep, weight balance, skin tones, and mood control. Other N.P.N Group products include Texas Krill Oil, Texas Super Silver, Texas Chill Pill, etc. Their flagship product is the Texas Superfoods capsules, powder and Texas Superfood Essentials. How Does Brain Gain Work? 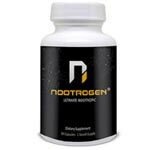 Among other ingredients, N-Acetyl-L-Carnitine helps process fatty acids, helping provide energy for cells, thus allowing them to work more efficiently. Another ingredient that sharpens memory and cognitive capabilities is the Bacopa leaf extract, which contains Vitamin E abundantly. Vitamin E plays an extensive role in helping the brain function properly and improve focus and retention. Texas Superfood Brain Gain’s Ingredients—Are They Safe & Effective? N-Acetyl-L-Carnitine – Also known as ALCAR or ALC, N-Acetyl-L-Carnitine is a naturally occurring molecule in the human digestive system which plays a huge role in processing and utilizing fatty acids, supports better nervous system communication, sharpens memory and enhances cognitive capacity, among other uses. Bacopin Bacopa Leaf Extract – Bacopa, more commonly knowns as Brahmi, is a plant native to the Indian sub-continent. It is used in medicine for helping patients with Alzheimer’s disease, anxiety, ADHD and others. Dimethylamino Ethanol Bitartrate – Dimethylamino Ethanol Bitartrate, commonly knowns as Dimethylethanolamine or DMAE or DMEA, is an organic compound commonly used in skin-care products. It is also used in another chemically similar form as an ingredient for dietary supplements. Glycerylphosphorycholine – Also known as GPC, it is a chemical compound found in the human brain. Several research projects on this compound’s role have supported its use in enhancing cognitive function and increasing the strength and release of growth hormones. Other Ingredients: Ginkgo leaf extract, Gotu Kola extract, Guarana seed powder, Huperzine A, Hydroxypropyl methylcellulose (vegetable capsule), Phosphatidyl Serine, Seanol -P Ecklonia Cava extract, Silica, Vegetable lubricant, Vinpocetine. What are the Advantages of Texas Superfood Brain Gain? The ingredients may have other positive impacts on the users, such as better digesting and eye function. Brain Gain ingredients may also improving blood flow to the brain, hands, feet and other organs to ultimately help the user feel healthier overall. Naturally occurring ingredients such as ALCAR and GPC may help with natural immersion and easy acceptance into the body. What are the Disadvantages of Texas Superfood Brain Gain? Herbal ingredients such as black pepper extract may trigger some users’ allergies. A healthcare professional may need to be consulted for use by children, pregnant women or if used along with other drugs. May take some time to show visible results. How Should You Take Brain Gain? The manufacturer suggests taking the capsules with meals. Three capsules should be taken daily, or as recommended by a healthcare professional. How Much Does Brain Gain Cost? 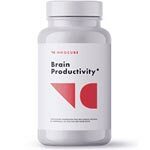 A single bottle of Brain Gain costs $67.45 on the manufacturers’ website and $44.95 on other online markets. Each bottle contains 90 vegetable capsules. What is Brain Gain’s Return Policy? The manufacturer allows customers to return any unused portion of the product within 30 days of purchase for a refund of the purchase price, after deducting shipping. Does Brain Gain Offer a Free Trial? Although there are no free trials of the product, the manufacturer offers free shipping for all purchases over $100. The manufacturer also offers a discount of $8.65 and free shipping if the user subscribes to the website. Brain Gain provide a wide range of benefits, such as improved mental prowess, better retention, and many other perks. Given the wide variety of ingredients, it contains, Brain Gain might just be the real deal, delivering on what it promises. Though not mentioned by the manufacturer, Brain Gain’s ingredients offer better skincare, improved digestion, and better eye-care. Brain Gain has its uses that can attract a number of customers, but it does have a slight downside which can sway some users. The only downside to brain gain is that it is not backed by a scientific study to support its claims. Despite the number of uses, advantages, and disadvantages that a product may boast, the product has to appeal to its users. If Brain Gain appeals to you, then it might just help you on your way to improved mental function and capacity. Otherwise, you can always give almonds a chance or look for top rated memory supplements.